Gout is a common, painful metabolic disease. When the body metabolizes protein, the by-product or waste is uric acid. The uric acid is removed from the blood by the kidneys. Gout can occur if the level of uric acid in the blood exceeds the ability of the kidneys to remove it. Excess uric acid can become crystallized and deposited in the joints called articular gout, or in the organs called visceral gout. These crystallized deposits are called tophi. The most common causes of Gout are renal impairment, long term low level dehydration and diets with excess proteins. Articular gout symptoms are enlarged, painful, inflamed joints without causative injury as the tophi are deposited in the joints. Visceral gout is not often diagnosed unless a necropsy is preformed as the symptoms are elusive as can be attributed to a variety of problems. Lethargy, poor or no appetite, weakness, and slow deterioration of the reptile as the organs begin to fail are a few of the general symptoms. In more advanced cases tophi can be seen as deposits on mucus membranes and in the mouth. Treatment begins with correcting any husbandry problems. 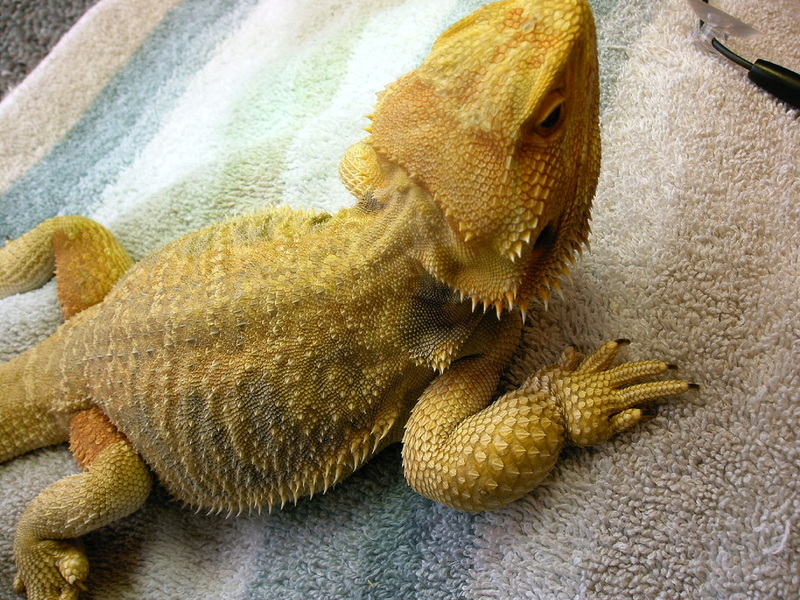 Providing the proper environment as well as a proper diet is essential to a healthy reptile. 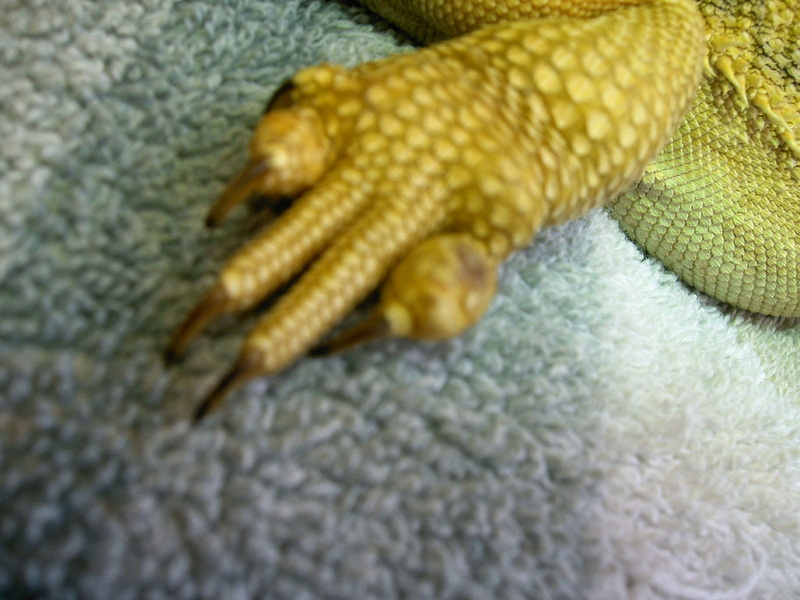 It is the responsibility of the keeper to research and know the specific requirements for the reptile. In addition, after assessment by a qualified vet who will test blood values to assist in the diagnosis there are medications which can help. 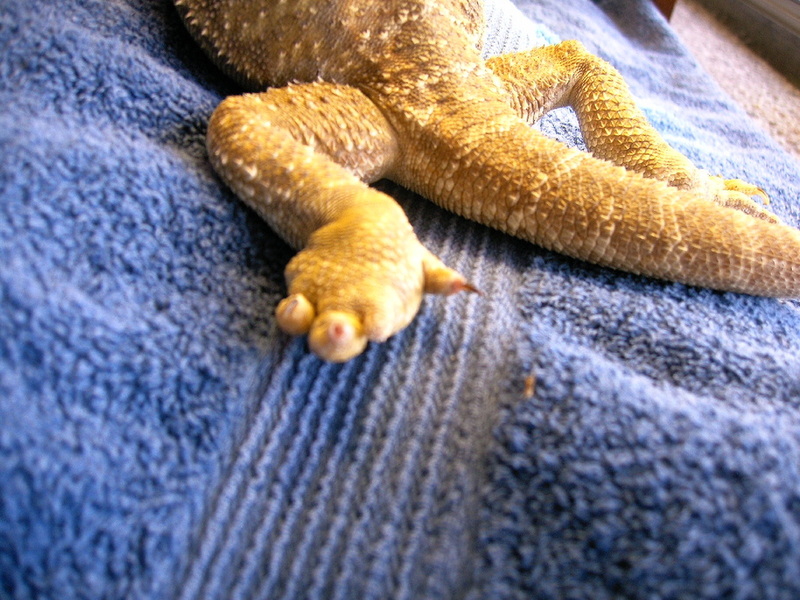 As with the majority of health related illnesses and diseases in reptiles, prevention is most important. Providing the required environment with the correct heat, hydration and diet is necessary. The information presented here and much more can be found following the links below. 'Protein, Gout and Renal Failure in Reptiles' article on Melissa Kaplan's Herp Care Connection. Repashy article detailing formulation of the product Bug Burger to be less protein, article coorelates high protein roach chows to gout in captive reptiles.